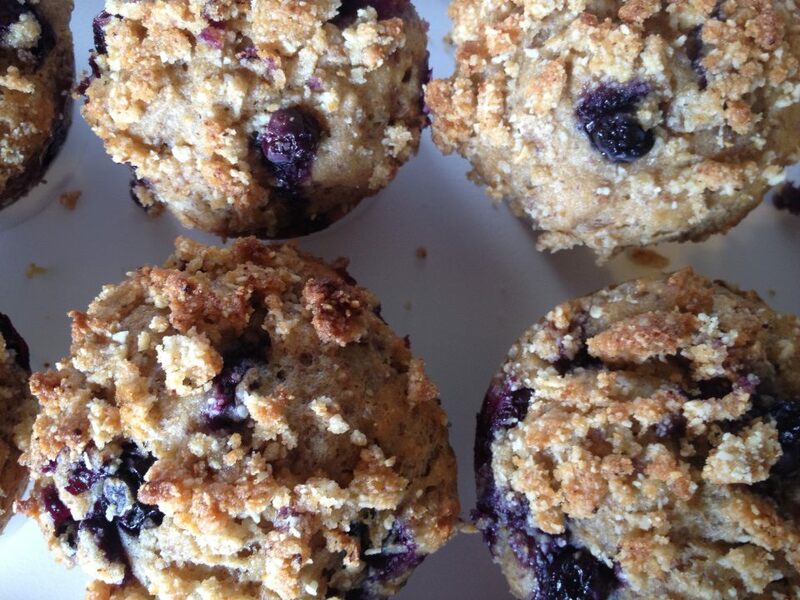 I actually decided to make these blueberry muffins because of Starbucks. I was there more than usual this week – a string of rushed early mornings resulted in me not having time to make coffee before I left – so of course I kept seeing that glorious case of baked deliciousness they have there, full of like, every kind of pastry in exquisite form. But they always look a little too perfect, if you know what I mean. Like, does Starbucks engineer each treat at some Wonka-like factory before freezing and shipping them to all the stores in the country? You know, I bet they do. Perhaps even made by Oompa Loompas. Part of that perfect look probably also comes from the massive amounts of oil and sugar in those goodies that give them that rich, glazed look. Well, the tantalizingly cakey breads and muffins kept making me drool every morning and I couldn’t take it anymore. So what did I do? Naturally, I had to go bake some of my own. And, naturally, they would be so good, and so good for me, that I could have more than one morning of muffins for breakfast! Go ahead and preheat the oven to 375 degrees F. Line a 12 cup muffin tin with fancy liners or spray evenly with cooking spray. Now, to combine and aerate the dry ingredients, process all of them from flour to salt in a food processor, until they come together as a finely ground mixture. Separately, whisk the yogurt, sugar, butter, orange zest, orange juice, egg, and vanilla. Add the dry mixture to the wet and mix with a rubber spatula until just combined, being careful not to over mix. Carefully fold in the blueberries. For the topping, combine all ingredients using a fork to push the butter and dry ingredients through the tines until the mixture looks like a flaky crumble. 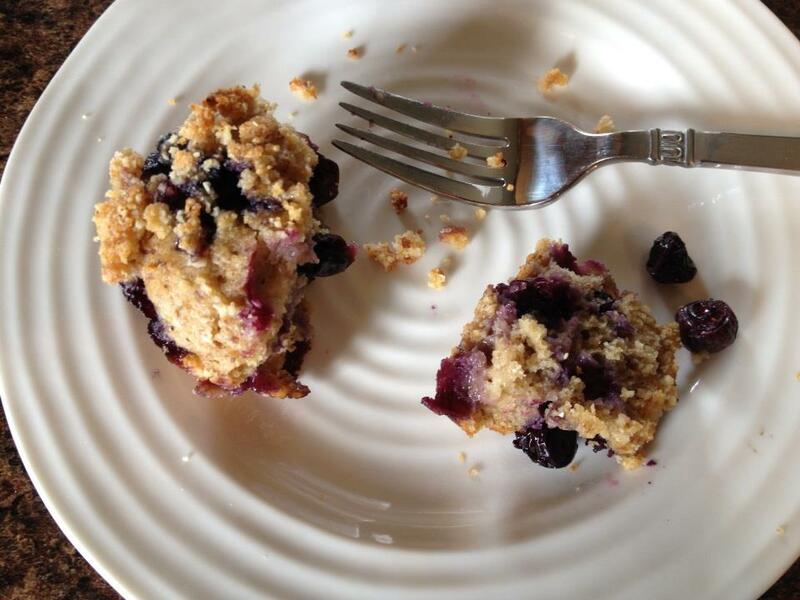 Using an ice cream scoop or large spoon, evenly divide the batter between the muffin cups. 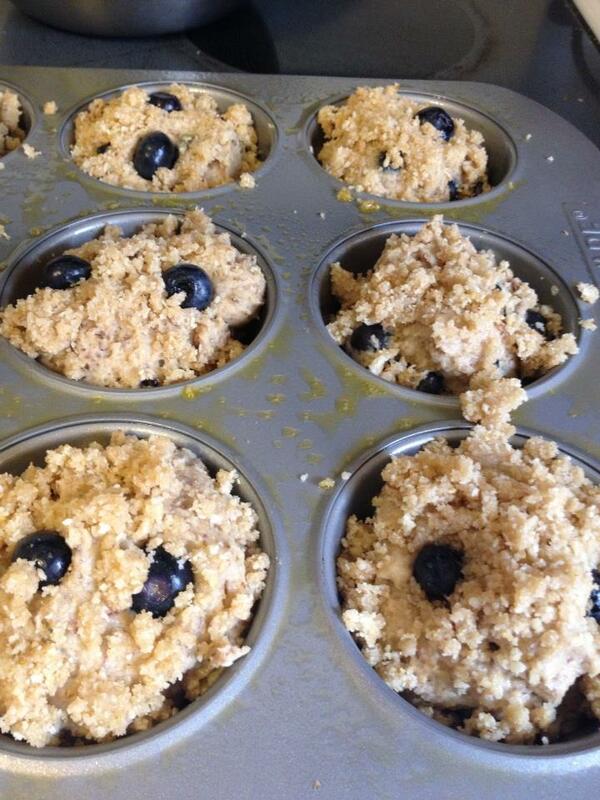 Then, sprinkle as much topping as you want on each of the muffins. Bake for 22-25 minutes, until a toothpick inserted in the center comes out clean. These muffins will keep three days at a moderate room temp, and up to a month, well wrapped, in the freezer. The result shall be a perfectly sized breakfast or snack muffin and will squash your cravings for the pre-frozen, over sweetened efforts of the Oompa-loompas, and impress your friends.